With school starting up again in less than two weeks it is important to look and feel your best! Feeling your best can start with clear and clean skin. 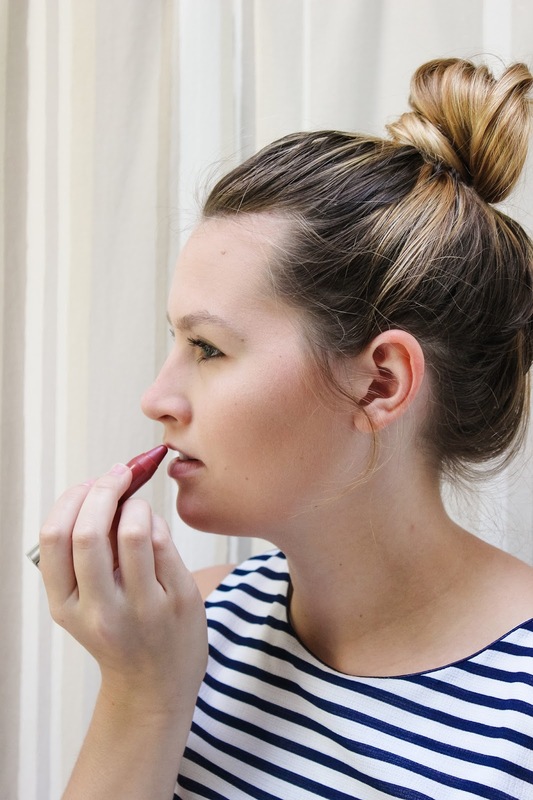 It is important to have a makeup routine that not only covers up blemishes but also helps prevent acne. 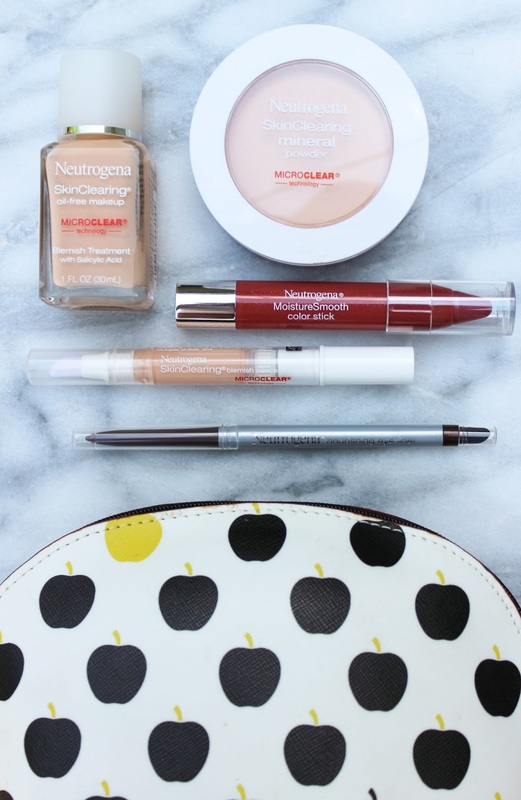 CVS carries Neutrogena® Cosmetics and the SkinClearing® line to help you prevent acne and give you a flawless look.To browse through the full line of products at CVS, click here! 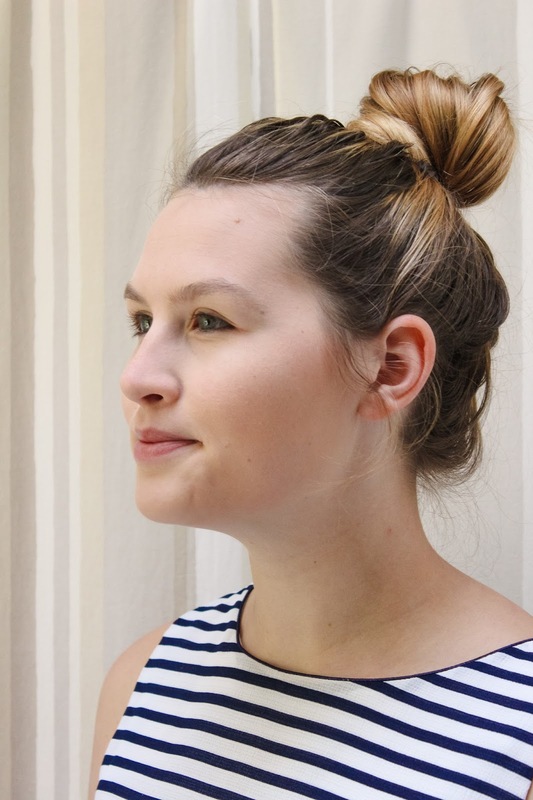 In today's post, I will be showing you how easy it is to get a natural back to school look with only five products. Scroll all the way to the bottom of this post for coupons so you can test out these products for yourself! Boost you confidence on the first day back! 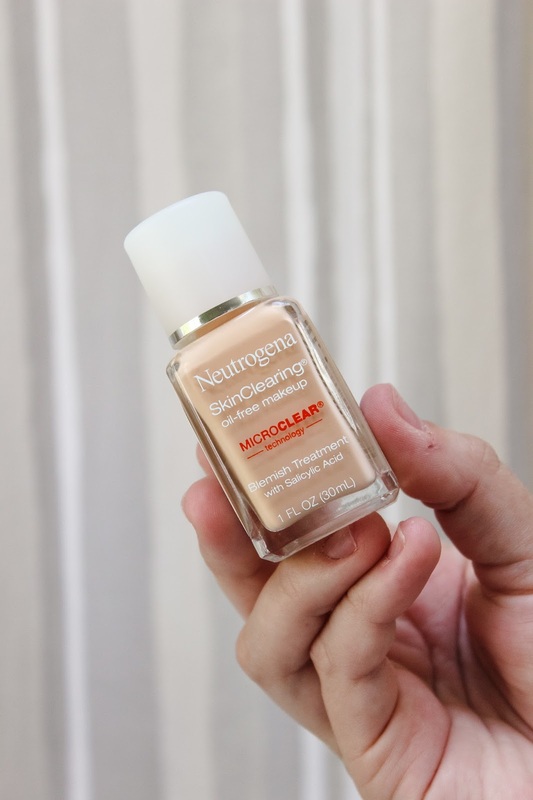 Step One: Neutrogena® SkinClearing® Makeup is formulated for acne-prone skin, it is the first and only liquid makeup foundation with Micro-Clear technology that not only treats blemishes but also helps prevent emerging acne breakouts for clearer skin. Micro-Clear technology boosts the power of salicylic acid by breaking through oil and unclogging pores for fast acne relief. Developed by dermatologists, this oil-free formula controls shine and won't clog pores. I pick up the shade Classic Ivory, number 10. 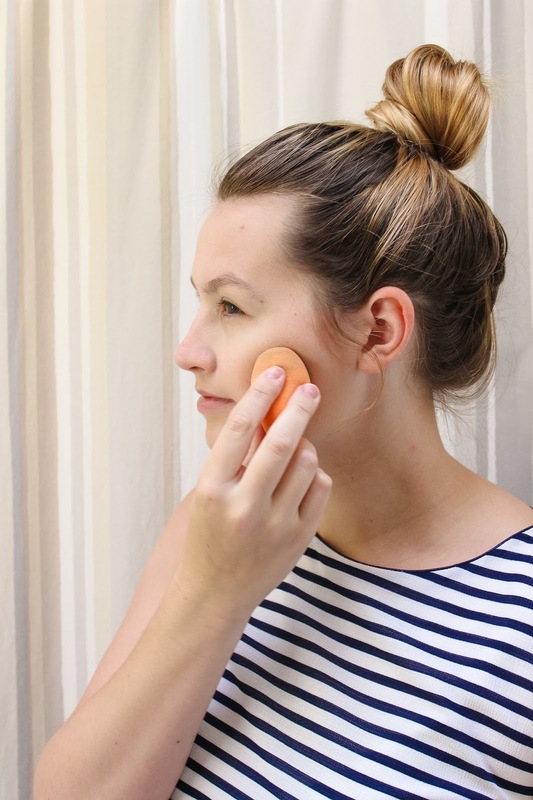 I first applied some of the product on to my finger before blending into my skin with the beauty sponge. 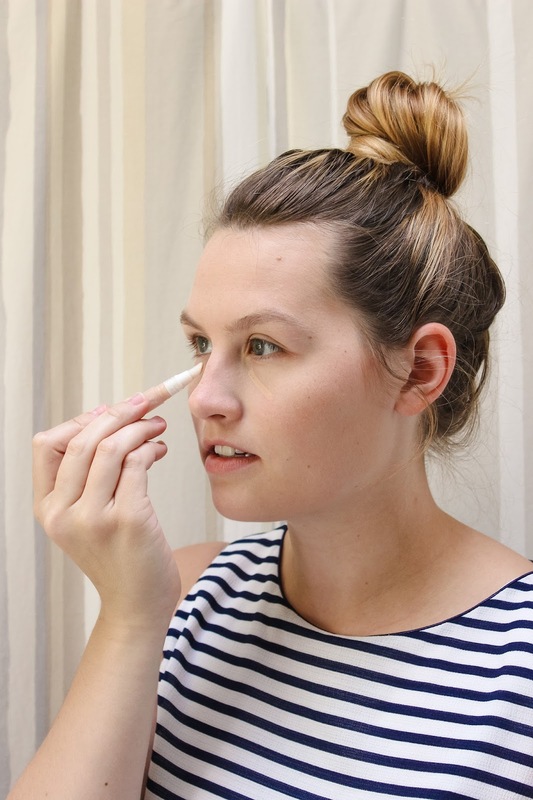 STEP Two: Next I go in with the Neutrogena® SkinClearing® Blemish Concealer. This helps conceal blemishes and helps clear them up. 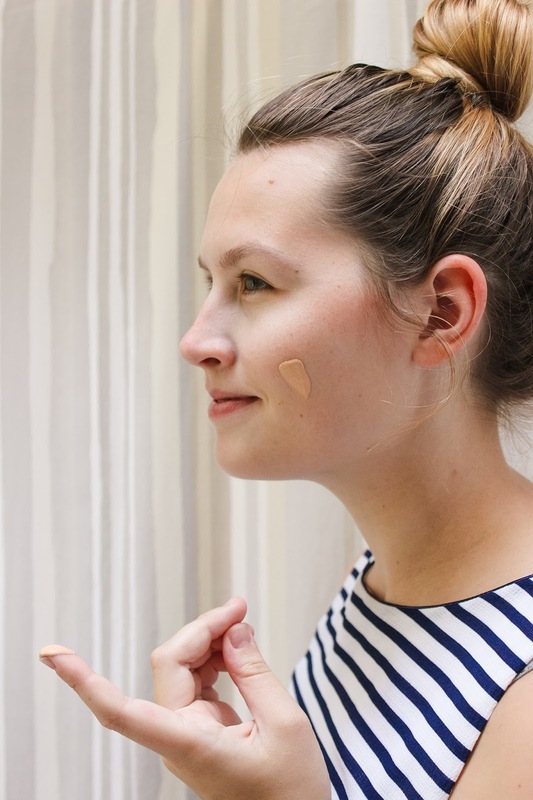 It provides a natural-looking coverage that doubles to reduces the visibility of acne and other blemished while also helping to improve your skin. The formula contains Micro-Clear technology with salicylic acid acne medicine to help quickly eliminate and prevent pimples. 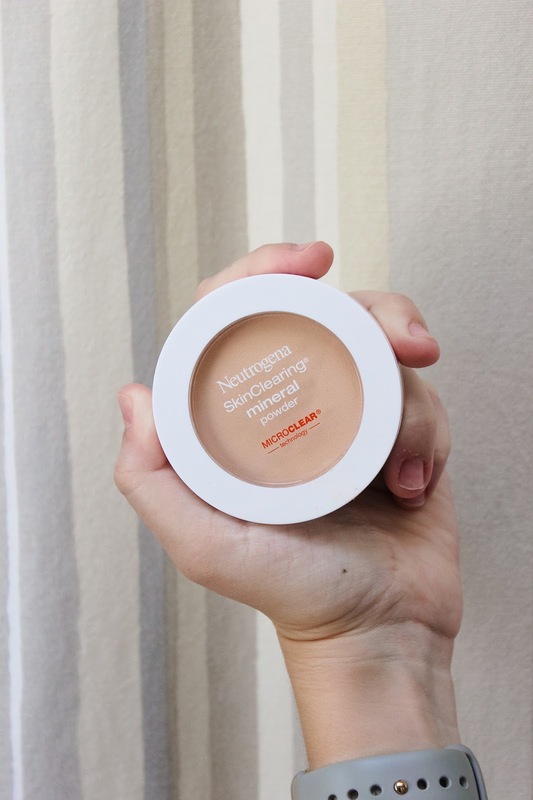 Developed by dermatologist, Neutrogena® SkinClearing® Blemish Concealer is non-comedogenic and oil-free so it won't clog pores. I picked up the color Classic Ivory, number 10. I didn't have any terrible pimples when doing this tutorial, so I put this in places that were darker like under my eyes and around my nostril. I would also recommend getting shade lighter if you want to brighten your under eye. I really like the way this apply onto my skin, I just applied it with the pen and used my finger to blend it in. STEP Three: After I apply the Neutrogena® SkinClearing® Mineral Powder. It has a two-side applicator provides a fresh, shine-free look. Containing minerals plus Micro-Clear technology with salicylic acid acne treatment, this non-comedogenic formula works to clear and help prevent breakouts while being gentle on the skin. 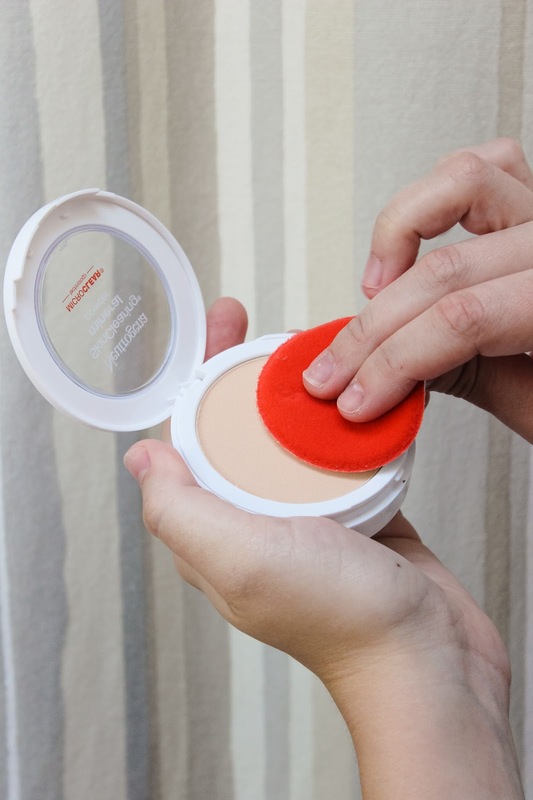 The compact also contains oil-absorbing powders for shine control that's gentle on the skin. A mirror and applicator puff is included. 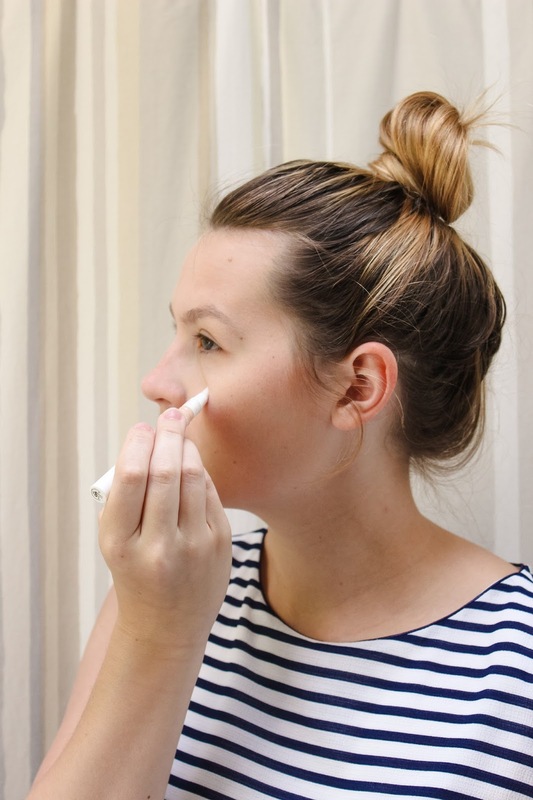 The nice thing about this product is if you are in a hurry and don't have time to do step 1 and 2 you can just apply the Neutrogena® SkinClearing® Mineral Powder. I picked up the color Classic Ivory, number 10 and used the white side of the puff to apply the product. STEP four: Now that my face makeup is set in place it is time to move on to eyes! I am using the Neutrogena® Nourishing Eyeliner in the color Spiced Chocolate, number 30. 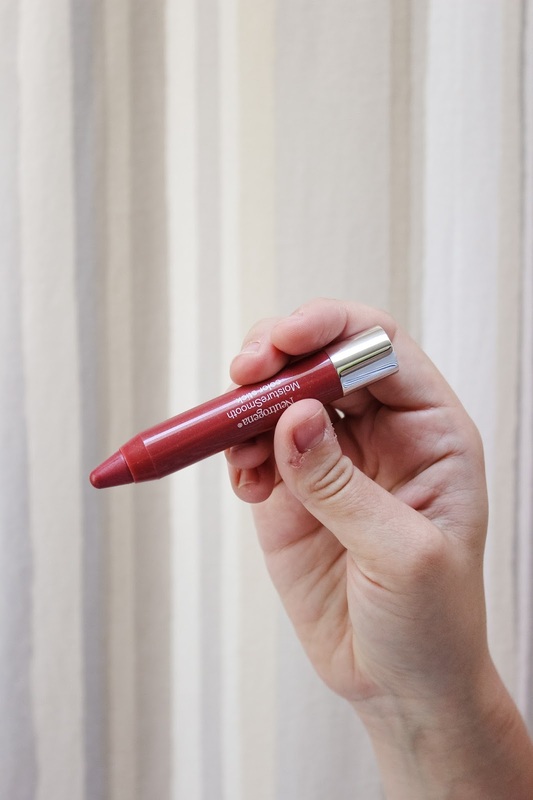 This product really helps define your eyes with this creamy eyeliner that glides smoothly and transforms into a long-lasting eye makeup finish that won't budge. Subtle light diffusers make the white of eyes appear whiter, while olive oil and rainforest shea butter add nourishment. There is a built-in sharpener that gives a precise smudge-proof eyeliner application and the contoured smudged softens and blends for a variety of eye makeup looks including a smokey eye for a night on the town! I just applied it to my top and bottom lashes area and smudged it just a little. I liked how easy it glided on as it lasted all day! STEP five:To finish off the look I added the Neutrogena® Moisturesmooth Colorstick in the color Soft Raspberry, number 60. This moisturizes your lips and lasts for hours, all while continuously conditioning them so they're softer and smoother in just three days, even when bare. It is made with fruit extracts, along with mango and shea butter, dermatologist-tested, balm-like formula glides on easily, providing a wash of moisturizing color. 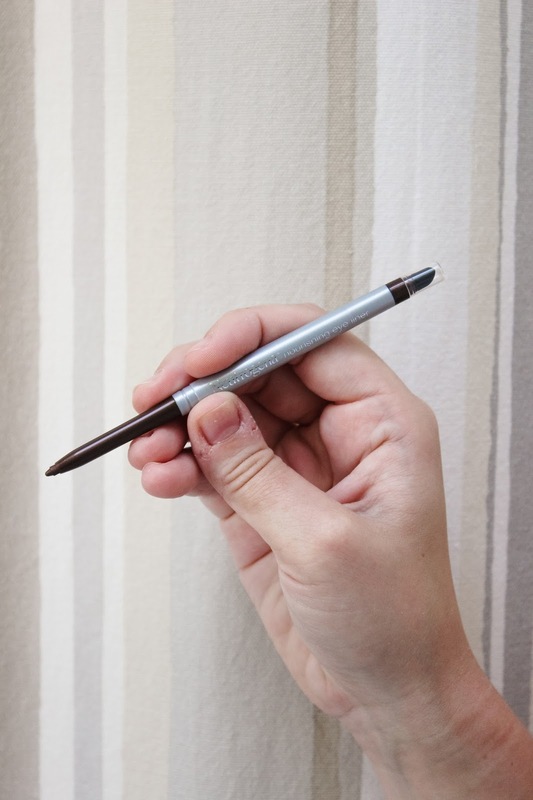 You can twist up the package allowing the perfect application each time, no sharpener required. This comes in multiple color options from sheer and shimmery finish to bold and creamy finish. This apply really smoothly and lasted all day! I loved the Soft Raspberry color to add color but wasn't to much for an easy back to school look. I will for sure be picking up more color of this product in the future. Final Look and thoughts: So this is the final look! Super easy and I think it looks really natural. 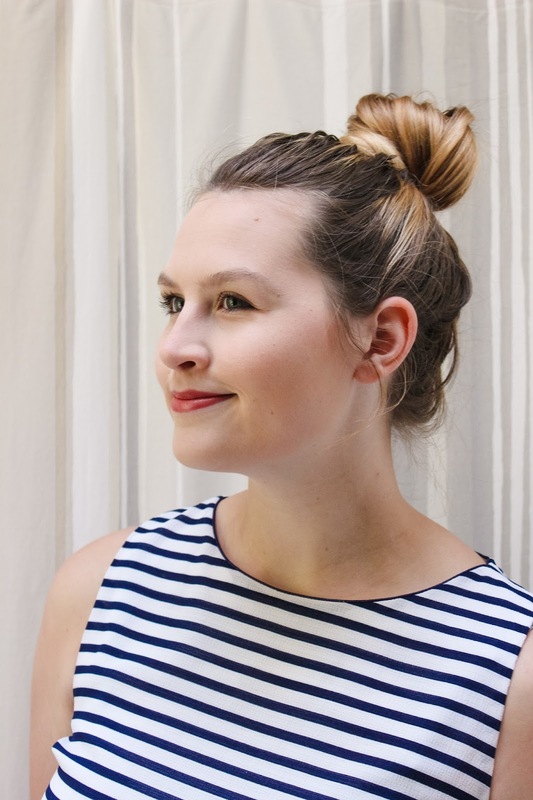 This whole look took around 10 minutes so it can fit into your morning routine (might even shorten it) when it comes to getting ready. All the products were under $15 a piece which is very affordable when talking makeup! 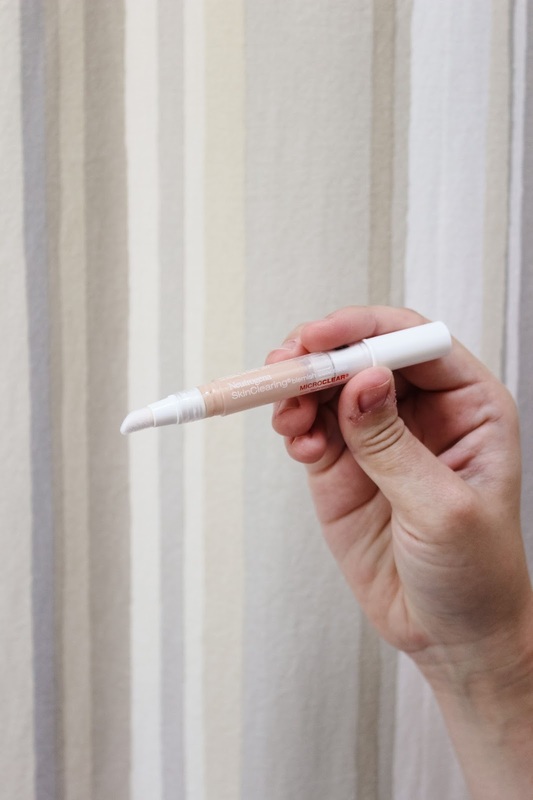 My favorite product I used was the Neutrogena® Moisturesmooth Colorstick, that will be a product I have to have in more colors! Head over to your CVS, they offer a wide variety of Neutrogena® products. Right now they are offering some great deals, plus I have some coupon codes below. Where to find it:Wanna know where to find the products mentioned in my post? Head to your local CVS or browse through the full line of products at CVS, by clicking here! I found these products on an end cap, but can also be found in the Neutrogena® section of cosmetics. Right now ibotta has a few offers for you. You can save $3.75 off (click here for the coupon) any Neutrogena® Cosmetics Face products and $2.25 off (click here for the coupon) any Neutrogena® Cosmetics Lip or Eye product (only good on CVS purchases). 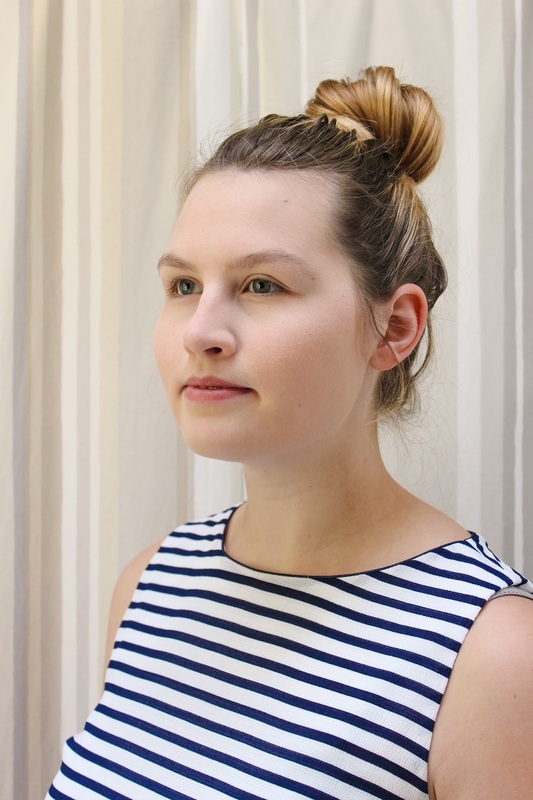 Love a simple make-up routine! This is so good! 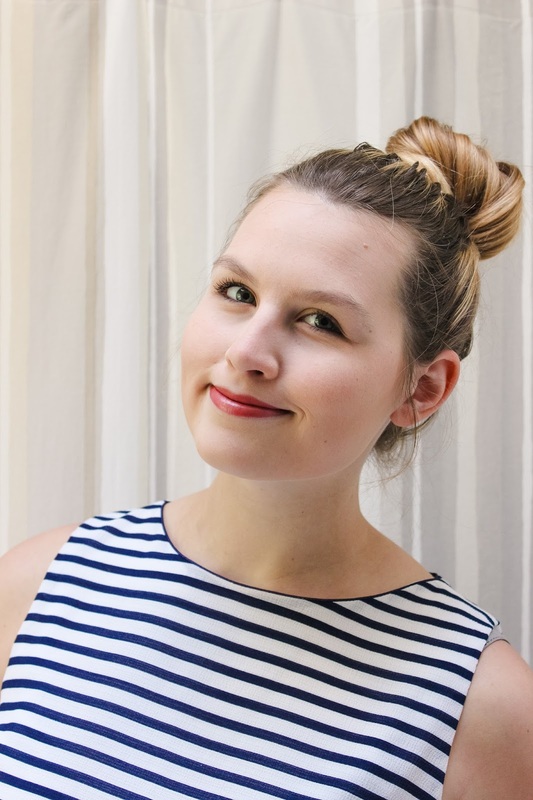 Love that this face makeup was created to minimize pore clogging and help with acne prone skin! I love a lot of their skincare products, but surprisingly, I haven't tried many of their makeup products. 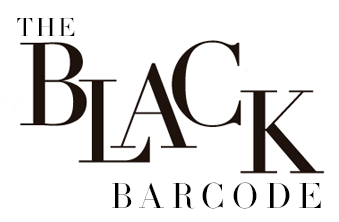 I absolutely love all of their products! 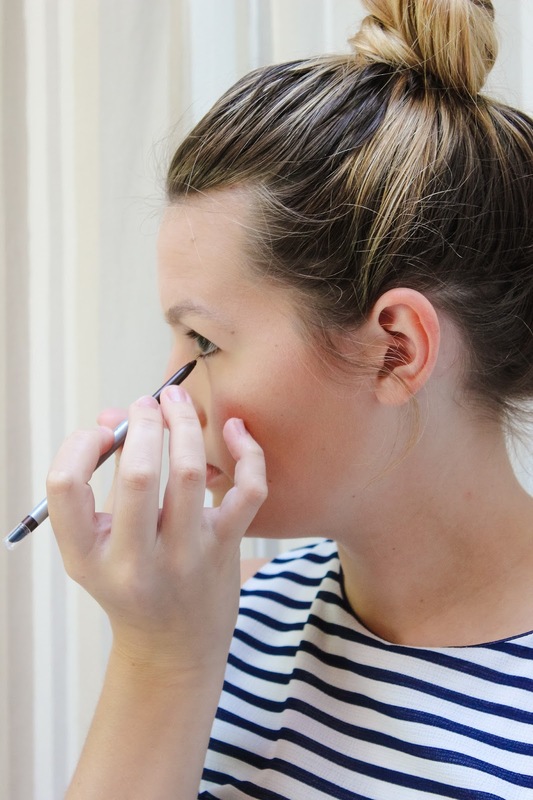 Your makeup look is flawless! Absolutely stunning!! They have some amazing products and I definitely need to try some of these goodies out! Such a simple make up routine! 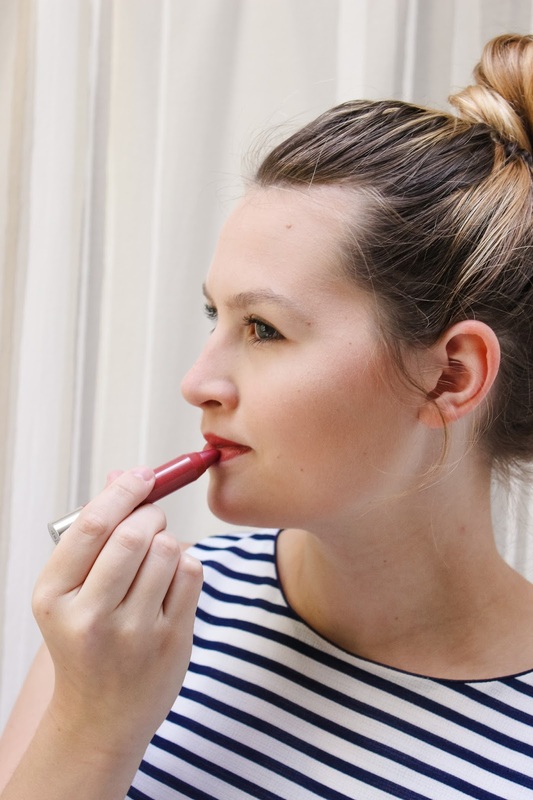 I love the lip color - it's perfect for fall! That foundation looks great on you and I love that shade of lip color! Love the pretty and natural look you created! What a quick and easy look! Gorgeous! 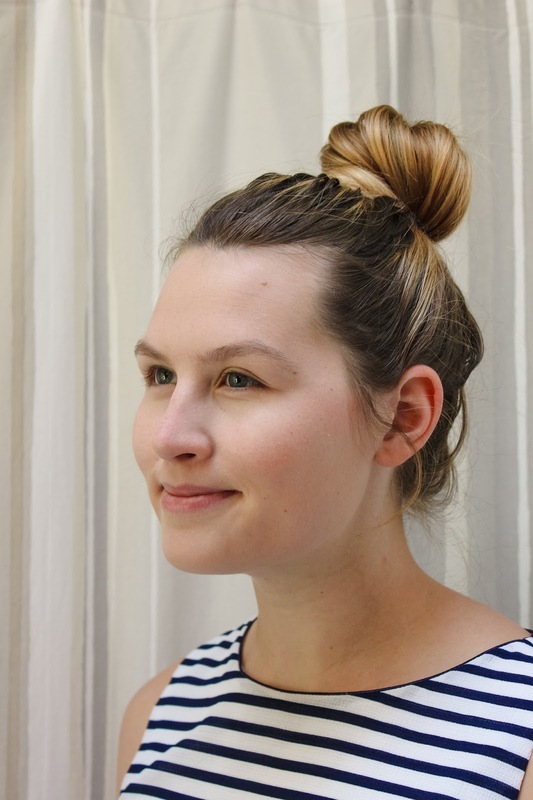 Perfect everyday look! I also love that makeup bag! You are looking really fabulous, flawless and simply gorgeous. I did my flawless makeup lesson, she taught me how to bring glam and glow on regular faces, how to do gorgeous makeup with minimum products. She helped me a lot to improve my skills and to create my own level. You are looking really fabulous, flawless and simply gorgeous. I did my makeup lesson by makeup artist Lina Cameron, she taught me how to bring glam and glow on regular faces, how to do gorgeous makeup with minimum products. She helped me a lot to improve my skills and to create my own level.